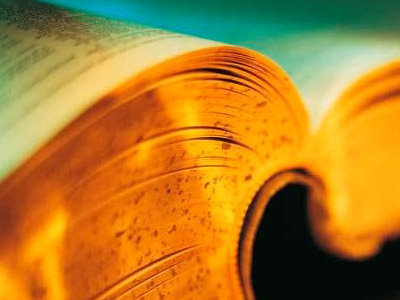 Dictionaries are helpful at the start of any inquiry, because they provide a static point on which to hinge ideas. However, through the vetting process of a dictionary’s authorship, a discrepancy often appears when dealing with subject matters that evolve at a rapid pace, as is the case with media and technology. This gap provides insight on the distance traveled from one historic point to current understanding. For example, cc is an acronym for carbon copy. Today, using carbon paper to make a copy of documents is charmingly antiquated. However, cc has survived into the digital age, most often in the context of email, to mean “complementary copy” or “secondary copy.” Therefore, cc has evolved beyond its original literal reference to material. Television is no different. In searching for a formal definition of television, similar discrepancies are evident, which inform the changes that television is undergoing both in a technological and cultural sense. The American Heritage Dictionary has three definitions for the word television. Each definition reveals a different viewpoint on television that is rooted in a particular time and place in the evolution of television. The first listing describes the transmission of electromagnetic waves to broadcast visual and audio content. The second definition describes a set or apparatus, which receives and converts these signals into images and sound. Finally, the third definition references the industry, field, and production of television content. Most other dictionaries present entries with these three meanings in a similar way. 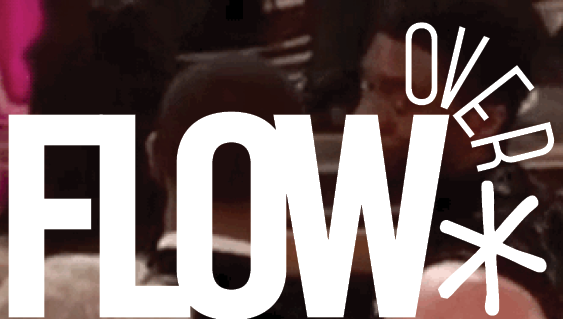 Over the next three columns for Flow, each definition will be used as a framework for examining fundamental changes in the technology and culture of television. Clearly, this definition requires updating. Two technological advances that this definition fails to address are worth noting. The distribution of television does not solely rely on the transmission of waves’ signals, but on recordable media (e.g. VHS and DVD) and through the digital network (e.g. iTunes, youtube, and bittorrent). As a broadcast signal medium, television was originally an ephemeral medium. The ability for television programming to be recorded and distributed on demand in the home has fundamentally changed the nature of television viewing, as many writing in Flow have previously recounted. The coinage and popular adoption of the term “appointment television” interestingly arose only recently because at one point all television viewing had to be appointment television. It was only when other options became widely used for experiencing television did the need for a term for scheduled television viewing arise. If television is not associated the transmission and reception of electromagnetic waves, then what is television? Television does not encompass all screen-based moving images. For instance, we watch “Star Wars” on television, but still consider it a movie. Watching “24” episodes on DVD on a computer is described as watching television. Ric Burns’s recent work “Andy Warhol: A Documentary Film”, first played a short and limited theatrical run and then was aired on public television a few weeks after it left theaters. Despite the title, is it a documentary film or television documentary? Is the criteria dependent on where it plays first? Not necessarily. 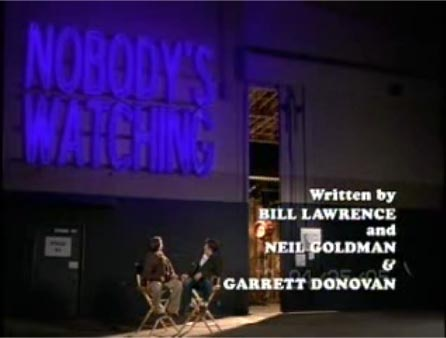 The television pilot, “Nobody’s Watching” was never aired but leaked to You Tube and gained an audience and press coverage. It certainly “feels” like television. Is the meaning of “television” therefore the intention for eventual broadcast? Intension is not a satisfactory criteria, because it approaches an “I know it when I see it” logic which lacks formal boundaries. Does the fact that NBC picked up the show and put it into production make it television? Again, the retroactive assignment of the label “television” is not useful because what is it before it airs? A few things could occur which might dictate the redefining of television. The word could be entirely replaced with another word. Or television could continue to evolve in the vein of cc, where the basic meaning remains the same, but the technical definition, in this example carbon copy, is not longer relevant. However, the shift from the literal (a copy made from carbon paper) to the metaphorical (a secondary copy of correspondence) is much clearer, because the current usage of cc is well defined. On the other hand, as previously suggested, what constitutes television today is not. A lag exists from the formalized definitions included in dictionaries, which creates the confusion we experience. This lag is created because technologies and our use of technology change faster than our language can adapt. Thus, the language we use to describe these new forms may be technically inaccurate, although we still know what we mean. These out-dated conceptualizations become actualized when the culture recognizes that this new “thing” is fundamentally different and “renamed” to reflect that change. The process can be internal and unconscious. People do not need to know what cc literally means or even know what carbon paper is to use the term. We recognize the change only after the fact. The lack of a current definition makes for an exciting time for television and its study. Flux is generally more interesting than stasis, and ambiguous boundaries provide the opportunity to explore the grey areas of the medium. This exploration will lead to a redefinition, which in turn will become out-dated shortly after it has been written, however that is part of the nature of language, technology and media. In my following columns, I will discuss the other two definitions of television, the set for viewing and the production and distribution of television. “television.” The American Heritage Dictionary of the English Language, Fourth Edition. Houghton Mifflin Company, 2004. 27 Sep. 2006. Carter, Bill. “Sitcom Given Up for Dead Hits the Web. It’s Alive!” New York Times 3 July 2006: E1. One of the issues that the problematic nature of the definition of “television” points to is the way that new technologies are almost always understood through the lens of the old. Although the “cc” function (which can allow you to copy a message to a large number of people) in e-mail is actually quite a bit different from a classic carbon copy, the carbon copy provided the most readily understood example of what “cc” is like — it’s a bit like a carbon copy in the traditional sense, even though it isn’t. Similarly, the term “film” is applied broadly even when referring to movies recorded using non-film media, and the word “radio” is applied to broadcasts distributed over the internet that ape the format of what is considered radio from a consumption point (rather than a technological one). I wonder how the amount of time it takes new vocabulary to develop relates to how the technology develops and is circulated. Are there factors that speed up or slow down the process of manufacturing new language to describe technologies? Dictionary definitions are mere snap shots. They fade and crackle as exposed to time and light. Gaps when the tire lifts from the road are the longitude of inquiry here. Referents become stripped away and meaning is no longer literal after the tire has lifted. Let’s look at an example; What is the definition of “electromagnetic wave”? Are the ones and zeros of digital networks more like stair steps than waves? Is it that the waves are not “in the air” but are through electronic tubes be they cat-5 or wifi? More questions rise than answers. Looking at another definition, being “ephemeral”, television is less a flowing river of programming than a kitchen floor of tile placed carefully, end to end, by the viewer. After disarming transmission and reception more examples continue to complexify the definition of television. The lack of an updated definition of television only allows for the constant updating and changing that television is doing. With progression in technology, television will change, but its basic definition will always be understood. Although we do not associate “cc” with an actual carbon copy, we still know what the acronym stands for. As television changes, its basic definition will probably remain the same, but it will serve different uses than it does today. For example, DVR already allows for viewers to rewind live television like a movie, and the internet has become a tool to watch shows that may have been missed. Also, people are even able to buy and download shows from the internet. Like all other forms of media, the internet has become a powerful tool of distribution. That in itself shows the strongest change in television.